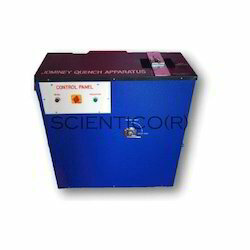 Jomey End Quench Apparatus is used for determining the harden ability of steel by an experiment called Quench Test. This experiment will enable to student to know about the harden ability characteristics of different alloying element. S.S. Model. Specifications and features: Motorized Water circulation through water pump with storage and test tank At a time one Jominy test can be carried out Fully covered set up with top. With in-depth domain expertise, we offer our clients a superior quality range of Jominy End Quench. We are engaged in offering Metallurgy Lab. 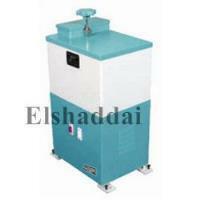 We offer our client a wide range of metallurgy lab equipment. These are avaialble in industry leading price. By keeping track of current market developments, we are presenting an exclusive assortment of Jominy End Quench Apparatus that are used to determine the hardness of steels. Our proficient professionals manufacture these apparatus employing the best quality components and contemporary technology in adherence with industry norms.